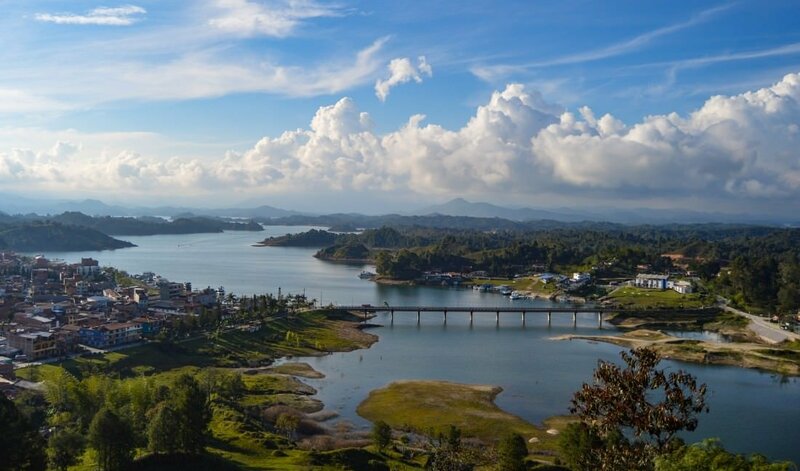 Lovers of small town flavor, spectacular views, and water related activities will find plenty of things to do in Guatape, Colombia. 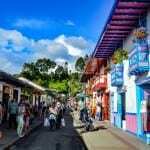 Guatape is, in our humble opinion, one of the coolest small towns in Colombia. Granted we have only visited about 6 or 7 small towns, but Guatape left a HUGE impression. Visiting small towns is as rewarding to us as exploring the speed and energy of foreign cities. Small towns are generally laid back, peaceful, and possess a sense of character that is sometimes lost in a metropolis. You can even say that the real soul of a country or a region is found in its towns and villages. We spent three months exploring Colombia. After a busy week (and a crazy weekend) in Medellin we decided to hop on a bus and head two hours east of the city, to the lovely and colorful town of Guatape. Situated on a bank of a beautiful (and artificial) lake, the town is known for the fresco-like images depicting daily farming life which adorn the lower portion of most buildings. Within a couple of hours of walking around we were full-on in love. 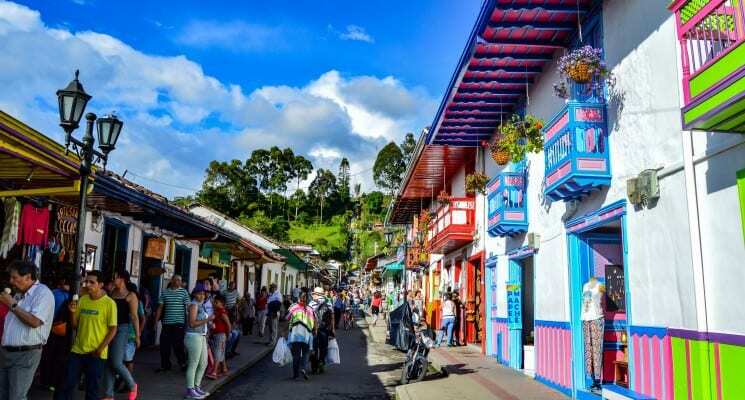 The town itself is small, bright, colorful, and most of its people possess the friendly good-spirited nature that this part of Colombia is known for. Surrounded by high green hills, and filled with small little islands, the lake is a spectacular sight to behold and great fun to explore via your watercraft of choice. We climbed a large hill right right on the outskirt of town and were rewarded with majestic views, and a glorious sunset. We decided to check into the Lake View Hostel, which turned out to be a great launching pad for all the exploration we did over a few days. Both Nick and Greg, the two expats who opened the Lake View Hostel together, bombarded us with options of things to do in Guatape. 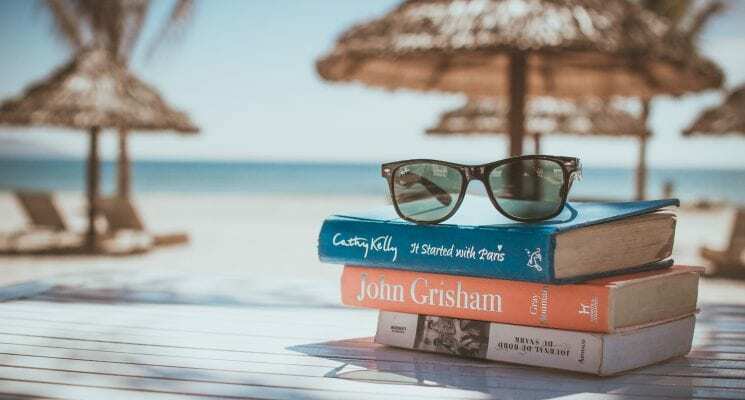 We decided to compile a list of six attractions the town has to offer, just in case hanging out and reading a book in peace by a gorgeous lake is not activity enough. Getting to Guatape from Medellin is pretty simple. 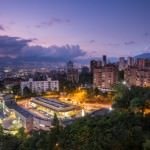 Mini buses run every half hour (from 5:30 AM to 6:00 PM) from Medellin’s North Bus Terminal to Guatape. The price per person is 14,000 COP and the ride takes about two hours. Otherwise you can rent a car and make the drive yourself, but we tend to avoid such things when on the road in countries we have very little experience driving in. 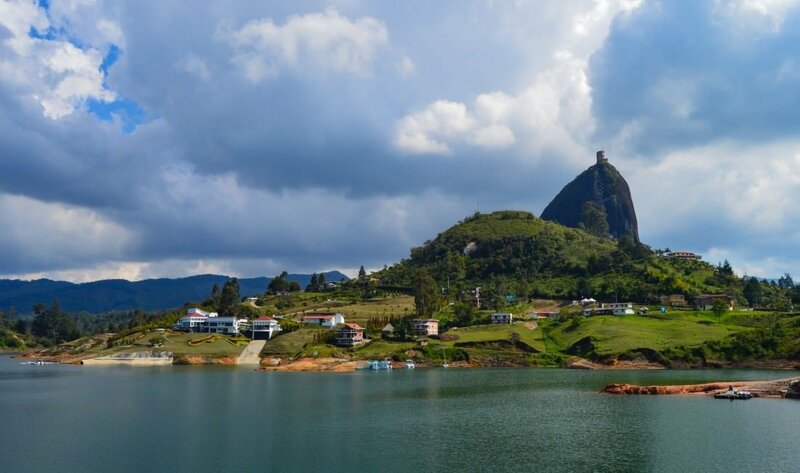 Without a doubt this should be first on your list of things to do in Guatape. Known simply as La Piedra (The Rock) this massive monolith towers some two hundred meters over the countryside just outside of Guatape. Entrance is 18,000 COP ($6.50) and you get to climb 740 steep steps to get to the top, but it’s totally worth it. Oh the views you will take in! The breathtaking vistas are so stunning as to be almost immune to hyperbole. Simply gorgeous. There are a couple of small shops at the top to buy a beverage or a snack and just hang out watching hawks swoop around the valley and out over the lake. If you visit Guatape you simply MUST do this. Period. As far as things to do in Guatape are concerned, this is a no brainer. Pack a lunch and get started for a full day of exploring this amazing lake. There are a multitude of little islands you can sink anchor at to have a rest and take in the view. You can rent kayaks for a full day for 35,000 COP ($12.00) from Colombia Getaway, a new tour company on the lake shore (more info below in the Booking Activities section). If you decide you don’t want to kayak they offer other modes of transport around the lake like paddle boards, jet skis, or boats, for exploring the lake. Be sure to pack sunscreen as the sun’s rays can get pretty intense out on the water. One of the strangest but coolest activities we have recently encountered – paintball in the ruins of Pablo Escobar’s once stately mansion. 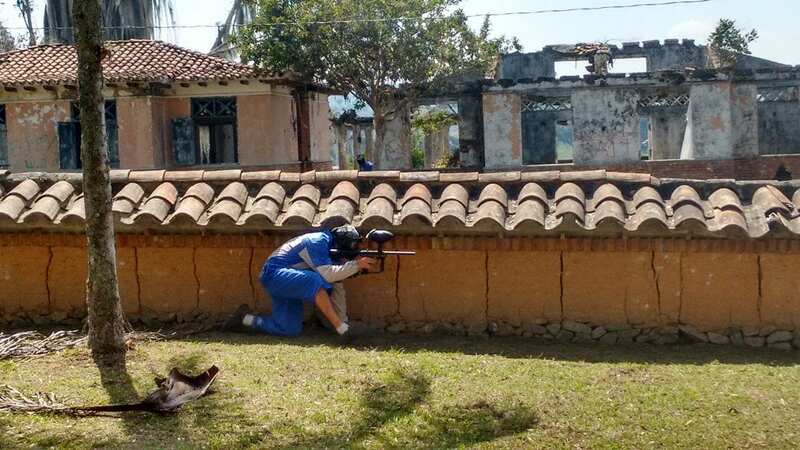 The infamous drug-lord is not around to make lives miserable for the people of Colombia anymore, so why not go play some paintball in the dude’s mansion in Guatape? Enjoy a cool boat ride across the lake, take in the views, get a tour of the mansion, and then suit up for some paintball blasting fun. 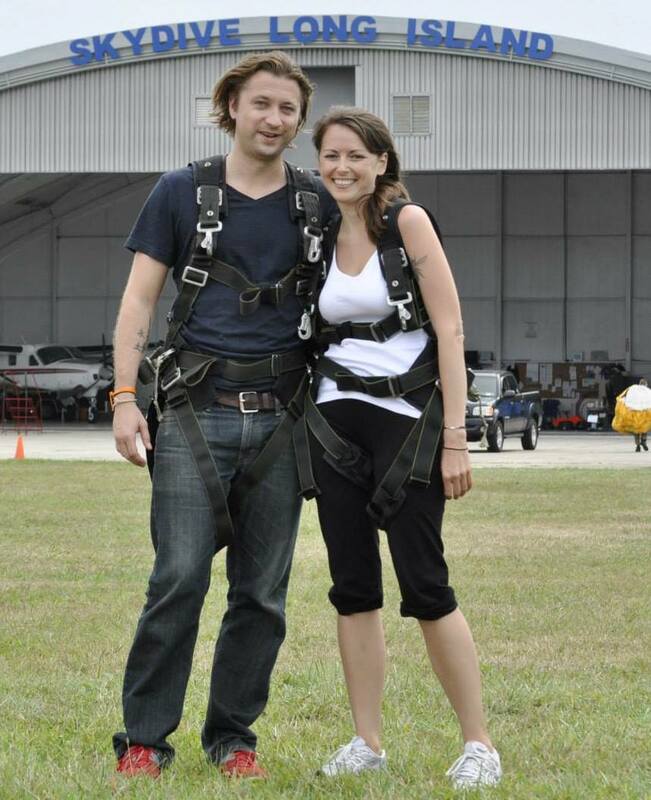 This is a quirky and novel activity that we think many travelers will have a hard time passing up. Check out the this website for info on paintball in Pablo Escobar’s mansion. Note, this activity can only be booked in Medellin in advance. 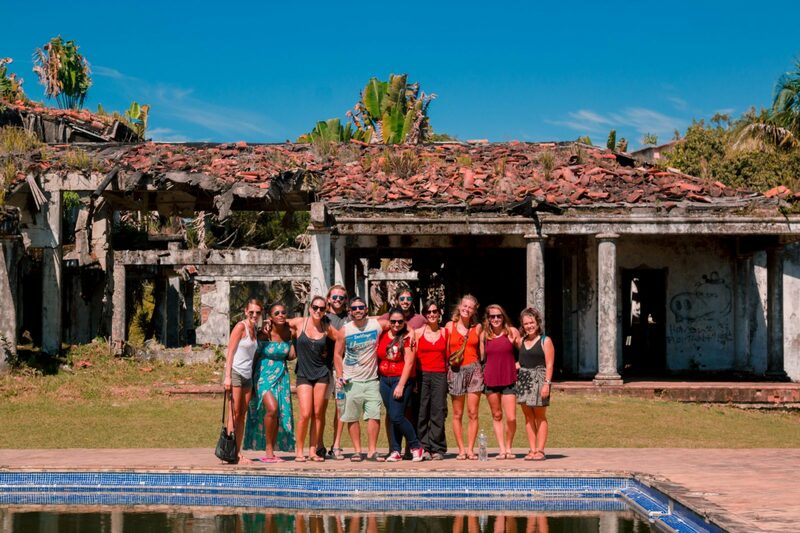 If paintball isn’t your thing, and you’d rather learn a bit about the Escobar history you can also take a guided boat tour and in depth visit to the mansion (more info below in the Booking Activities section). 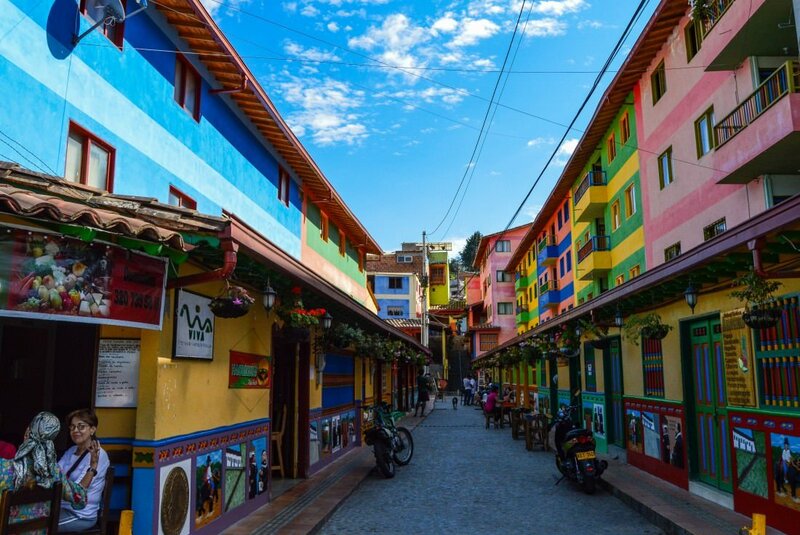 Sporting an abundance of colorful buildings adorned with murals, Guatape is very pleasant to walk around. Stroll through the streets and relax in the main square. You can have a “Menu del Dia” lunch in town if you want rice, beans, and meat. If vegan or vegetarian fare is more to your liking stop by the Namaste Cafe and sample a delicious fruit juice, and whatever sandwich the owner is preparing that week (using only fresh local veggies). 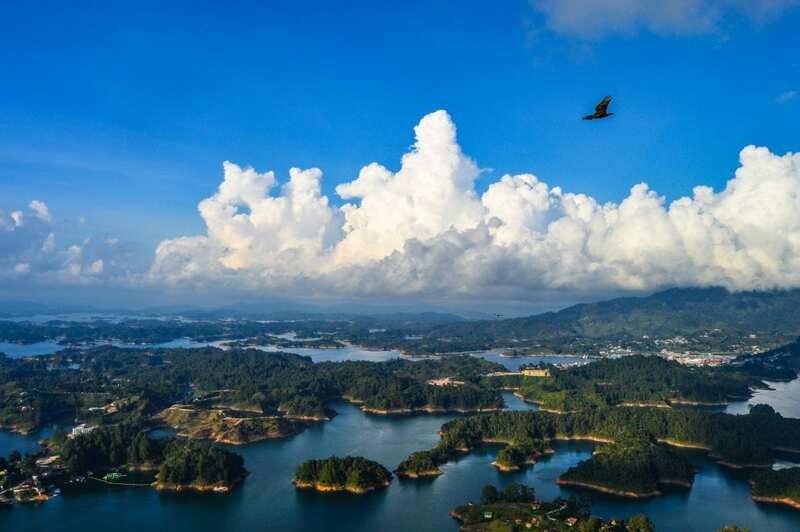 San Rafael is a small town located some 25 kilometers east of Guatape. Since its elevation is 1,000 meters lower it is far more tropical in nature. Jungles, waterfalls, and swim holes are all within walking distance from this quaint town, which is only now starting to experience international tourism. 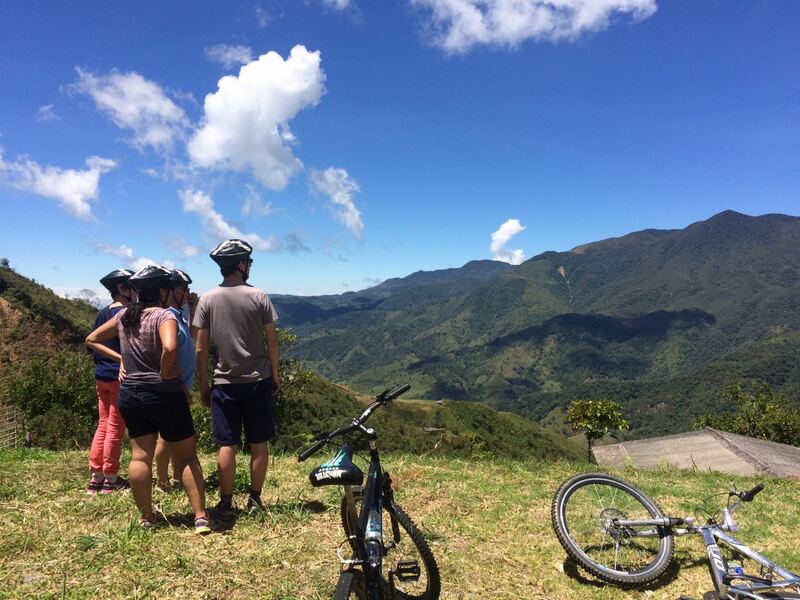 A great day trip from Guatape, you can either take a bus there, rent a scooter or a mountain bike and try your hand at the steep (but paved) descent into the jungle. The last bus back to Guatape leaves at 5:00 PM and costs 7,000 pesos ($2.50 USD). Located on the third floor of the Lake View Hostel, the Thai Terrace and Dragon Bar serve up some delicious Thai snacks, main courses, and surprising house cocktails. On top of the great food and drink the restaurant and bar is an excellent place place to meet other travelers. Chef Marcela Zamudio cooks with passion and gusto, whipping up delicious snacks and mains in his brand new kitchen. 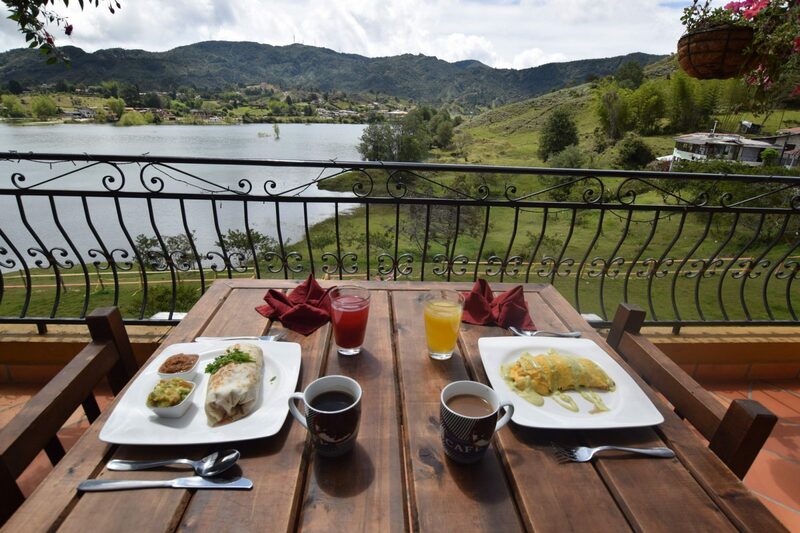 We definitely recommend stopping by for at least a snack and a beer in what is already one of the best restaurants in Guatape. Thai Terrace is open from 6:00 – 10:00 PM, and the Dragon Bar has happy hour from 5:30 – 7:30 PM. Clearly we are fans of the Lake View Hostel and highly recommend it as the best place to stay in Guatape. The hostel has a fantastic atmosphere, killer views, and both private and dorm rooms to choose from. Additionally, the staff are amazing, and the food and beverage are on point. We stayed at the Lake View twice, on both of our trips from Medellin to Guatape. Both visits were great, made all the better by the fantastic Thai food, awesome views, and night time drinks at the bar. We weren’t paid to say this, by the way. And yeah, we can’t wait to go back! 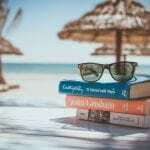 For more information, independent reviews, or the best prices for Lake View Hostel click here. Colombia Getaway is a tour company located on the lake shore in Guatape offering guided tours of the area and rentals. 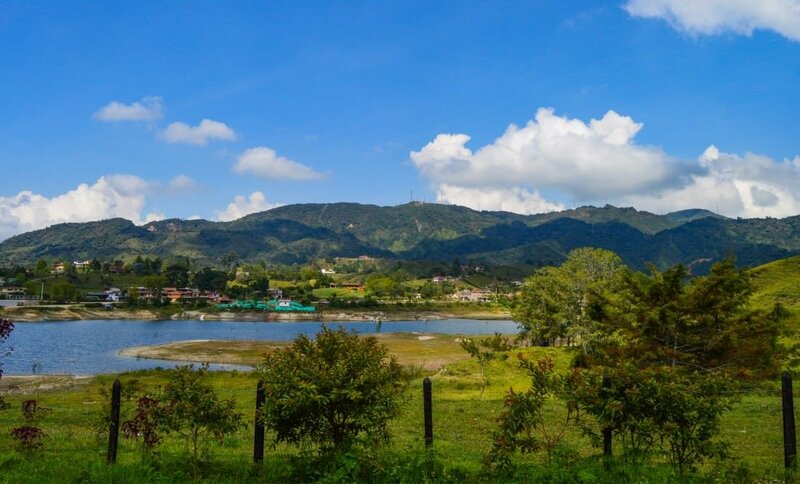 We highly recommend you give their site a look if you want to arrange activities while you are in Guatape. A guided, in depth tour in English of the Pablo Escobar mansion for 45 000 ($16.00). 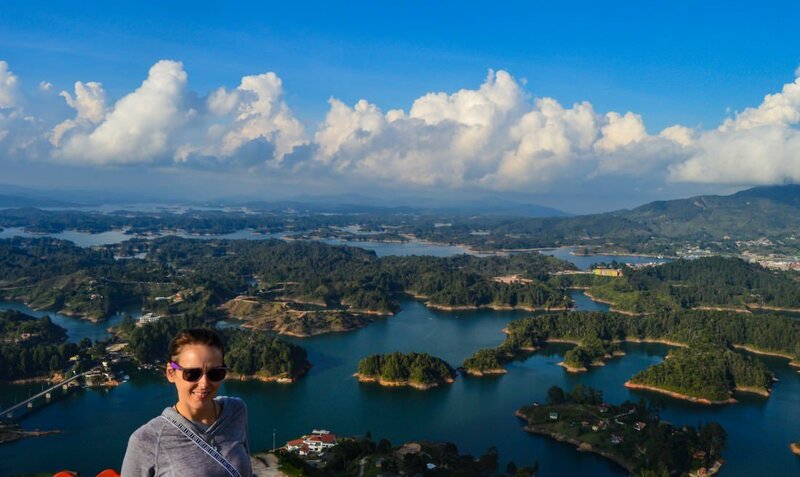 There you have it guys, our guide to the awesome little town of Guatape. We loved this place to teeny tiny bits and we can not wait to go back. So if you are visiting Colombia make sure to take the 2 hour trip out of Medellin to say hello to Guatape. Give it our best and tell it we will be back one day soon. As always, happy travels, and we’ll see you guys on the road! Disclaimer: We have included a few handy little affiliate links in this article. We receive a small commission for any sales made, without any additional cost to you, our dear reader. So glad someone else is singing the praises of this fab little town. I lived and worked in Guatape back in 2012 and totally feel in love with the place. The buildings take it look like something out a storybook and the view from the top of El Penol is hard to beat! Steph, how long did you live there? I’d love t settle down in Guatape for a few months myself. Hi I’m in guatape at the moment sitting in the square which is buzzing. I will take your tip of a bus to st Rafael tomorrow. Had hoped I could rent a car or moto. I’m not up to cycling. I’m on my own and had hoped there would be somewhere to sit in the sun and relax. I’m getting away from the exhaust fumes of medellin. oh this really looks like somewhere I could live. Lovely! Great info! 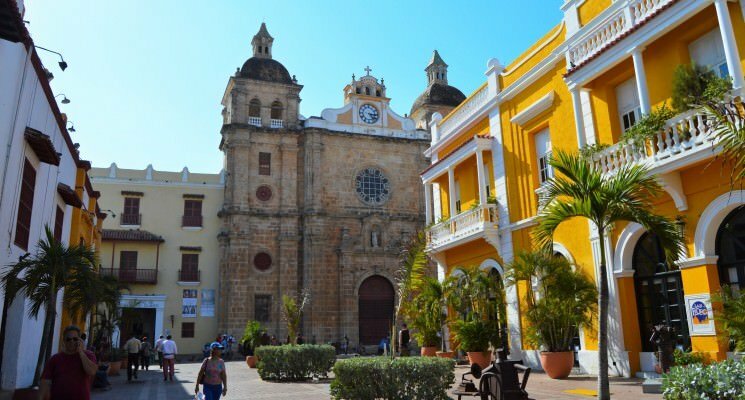 I only saw Cartagena, Santa Marta and Bogota when I visited Colombia last year. Super keen to see Medellin and Guatape next time. Bookmarking this for then, thanks! Awesome, glad we could bring this great town to your attention. Make sure you get to visit Salento as well! Thanks for sharing! This will be super useful for us as in January 2017 we are taking a year off and plan to travel at least 6 months in South America 🙂 Keep up the great work! 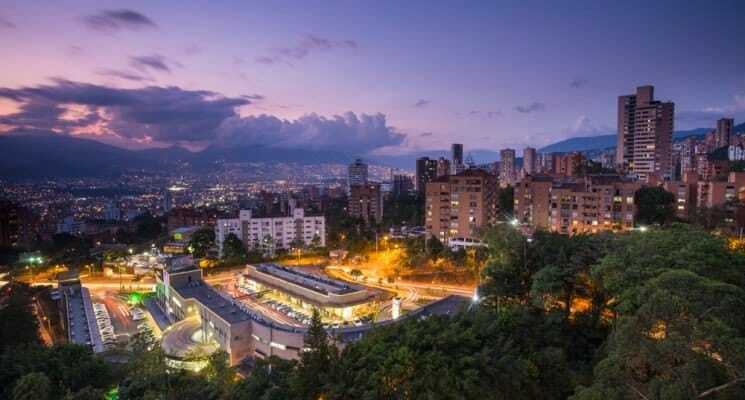 I lived there for 6 months in 2014 and will be moving back this October 15 Permanent If ever there was a time to make the move to Colombia its now! Bought a house on the lake a year ago, 2 min off the main road… added some wifi, and a dock to the property… have bananas, oranges, pineapple, avocados ALL on the property…. temps swing from 58 at night to 80 during they day… ALL year… Absolutely recommend this area to retire or have a get away home.. Food is super cheap, taxes aren’t high.. and a tier one hospital 30 min away, by the airport… fishing EVERY day, make my own oj in the mornings, and coffee(what a better place to have coffee from eh? )… all for 500k US for a, sleeps 15, with pool and jacuzzi, house, property tax 200.00 US per year….. AND not much in the biting bugs either! (unless you are near cattle or horses, they are “feeding grounds” for the indigenous biting bug community, and you get mixed in with the rest of dinner, if you are around em. haha. Are there nice long term rental accoms available in Guatape? Wow it looks gorgeous here! Definitely want to visit. I’ve been thinking about Colombia for a while and this looks great! Do it! Colombia is awesome! Take a look at our articles about Salento as well. Very nice blog you have. Well done! Thank you guys so much! I see you are form Boquete, we really regret not stopping by there when we were in Panama. Guess we have to come back! So sad and thoughtless that you would use this platform to promote activities involving Pablo Escobar. For anyone that actually interacts with the locals and talks to the Colombians who had to live through his destruction, you would know that this is extremely painful for them to see. Also important to note that these tours were created mainly by his family and former associates, so none of the money is going to the local community, his family is reaping all the benefits. Killing 38,000 people is not glamorous. Dropping over 200 bombs on Medellin in less than ten years is not okay. Supporting corrupt tours like this let’s his glamorized legacy live on and overshadows the truth of Colombian history. Escobar is the reason Colombians are consistently stigmatized as cocaine producers and violent people. 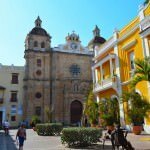 This blog is obviously not for real travelers who care about culture, it is for ignorant tourists. We appreciate your concerns, but we can’t say we are thrilled with how you decided to address them. Anyway, we deliberated for some time about adding the paint gun trip and tour of the Escobar mansion to the article. We thought it might be in bad taste given what Escobar represents to Medellin, and to the amazing country of Colombia as a whole. Before adding the trip to our list we asked multiple people, including the organizers, who this trip was befitting financially, and whether or not it was appropriate at all. The replies we received convinced us that this is all harmless. We will investigate your claims that the tour we recommend benefit the Escobar family, and if we find them to be true we will remove them form the article. Thank you for taking the time to contact us, but please be a bit more respectful in the future. You catch more flies with honey than with vinegar, as they say.